There are tons of recipes out there but one thing I struggled to finding living alone were recipes for one. I always found myself trying desperately to do fractional math cutting recipes in half twice because everything you typically find online and in cookbooks serves four gigantic portions. There were times I would be eating the same leftovers for a week. I'm all for leftovers but that's a bit excessive, don't you think? This got me thinking, I need to create a few easy weeknight dinners for the single girl. And here we are. So today, rest assured single ladies. I've got three easy, delicious dinners for you to make on your own. The best part? If you make them for friends or family, they are easily duplicated. How do I know? Because I duplicated mine for four people since I no longer live on my lonesome. I love lemon in everything. I feel like it just gives meals extra brightness and pizzazz. This soup was my dip into fall without really leaving summer yet. 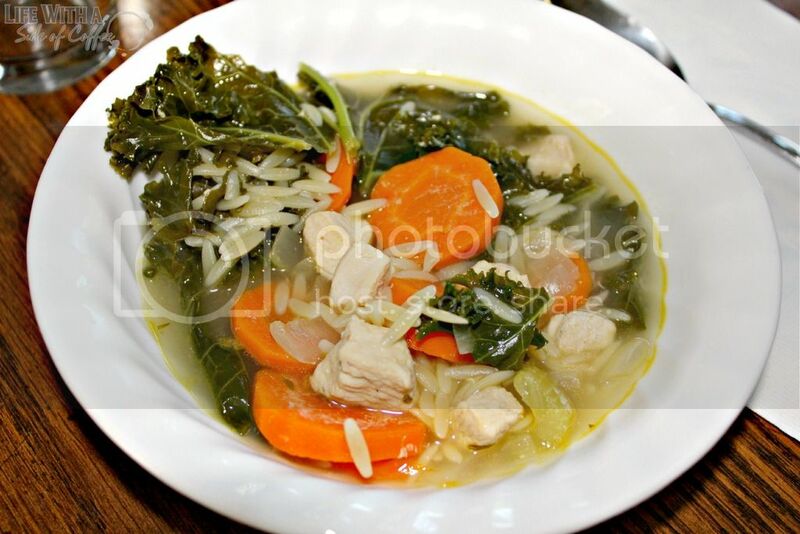 It's a warming soup that is definitely comforting but it's also light making it great for in between seasons. This recipe you might have some leftovers but not much. It depends on how hungry you are. Also, if you like extra pasta in your soup, double the orzo measurement. Heat olive oil in a medium pot. Add onion, celebry and carrots and cook until onions are soft and veggies are fragrant. Add herbs and chicken. Allow chicken to brown, about 4 minutesAdd chicken broth and lemon juice and bring to a boil. Once boiling, add the orzo. Let simmer until orzo is cooked. Add in the kale and let cook until wilted, about 5 minutes. Serve with a crusty piece of bread. Stuffed potatoes are one of the easiest dinners to make for one. Here's a little tip for buying meat as a single girl. I hated having to use the full pound of ground meat at once so instead of buying it in the already packaged area, ask your butcher to wrap up a quarter pound of ground meat individually. Get as much as you'd like but instead of him wrapping it all together, ask him to do it separately. Mine was used to it after my third visit. Anyway, this particular recipe is taking some of my favorite flavors, sausage and peppers, and throwing it into one of my absolute favorite fall veggies, sweet potatoes. It's pretty healthy and super easy to make using only 5 ingredients, plus olive oil. Preheat the oven to 400 degrees. 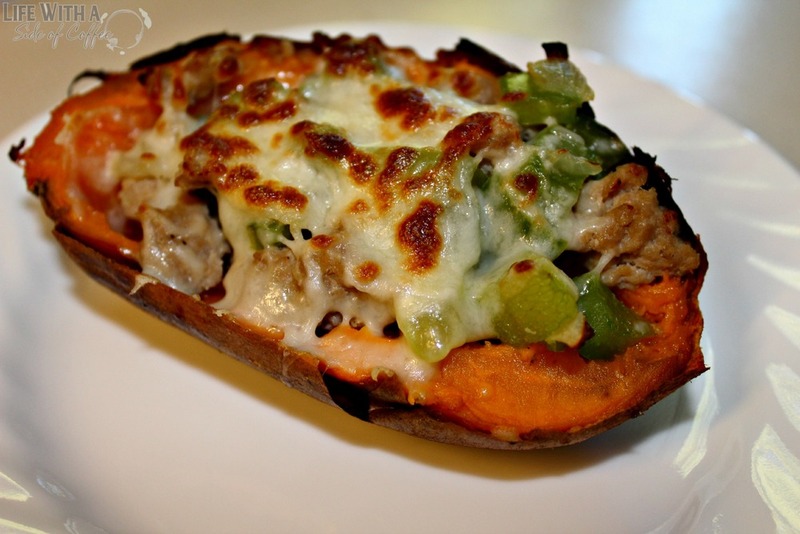 Line a baking sheet with tin foil, pierce the sweet potato a few times with a fork and lightly rub with olive oil. Bake in the oven for 45 minutes or until fork tender. Take out of the oven and allow to cool.Adjust the oven to broil. While the sweet potato cools, brown the Italian sausage (removed from its casing if using a link) in a skillet with the peppers and onions breaking the meat up as it browns. When the meat is done cooking and the sweet potato is cool enough to handle, cut it in half lengthwise. Scoop out about 75% of the inside leaving about an inch of potato left. Fill the potato with your meat mixture, top with cheese and broil for about 5-10 minutes or until the cheese is melted and bubbly. I love this recipe, it's my favorite out of the three here. The combination of basil and mint in the aioli was perfection. The great thing about this recipe is that you can make it for dinner or lunch and you can modify it to your liking. Add whatever veggies you have in the fridge you'd like. Cucumber? Sure. Pickles? Not my cup of tea but go for it. The sky is the limit. You will have about a half cup of pesto aioli left. Freeze it or refrigerate it and use it on pasta the next night. 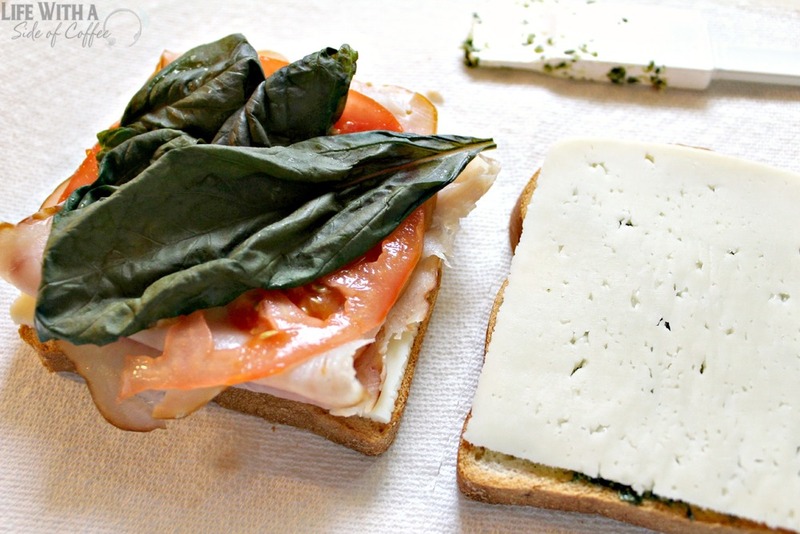 A gourmet sandwich made fast in the comfort of your own home. 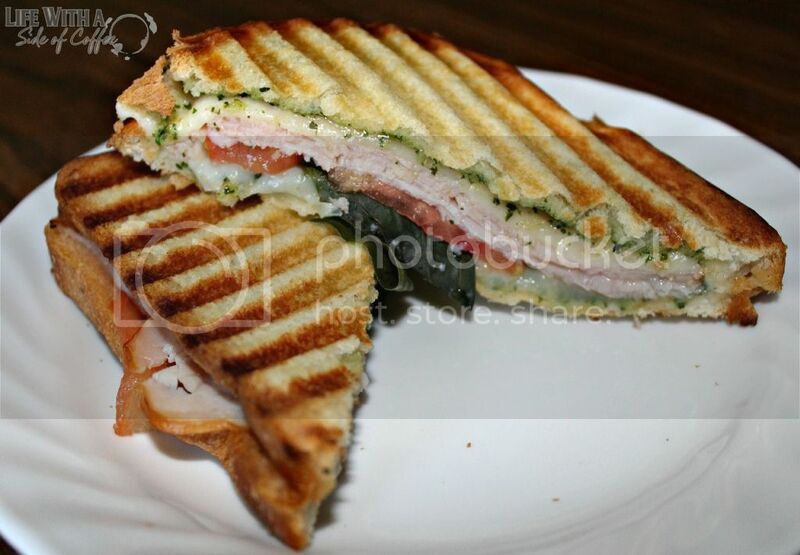 If you don't have a panini press, you can easily make this on the stove as well. Add a little extra flavor and crunch by spreading butter on the outer side of each piece of bread. Mix all ingredients from Basil to Salt & Pepper in a food processor until smooth. Set aside and start warming your panini press.Lay two slices of country or sourdough bread on the counter. Spread about 1 tablespoon of the Basil Mint Pesto Aioli on either piece. Layer with cheese, tomato, lettuce and turkey. Set in your panini press and cook until the bread is toasted and cheese is melted. Serve.